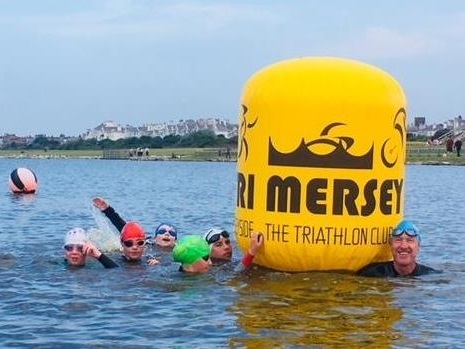 Mersey Tri is full of members who dedicate themselves to triathlon, both improving themselves and helping others. Each year, members can nominate and vote for fellow athletes to recognise their pursuits and achievements. 2018 has been such a highlight for me in terms of triathlon, and I’ve loved being part of Mersey Tri. A 5 minute PB was a great start to the year at the Liverpool half marathon. I won my age group at Southport Sprint Tri (6th overall), and I came 9th in my age group at the European sprint distance champs in Glasgow. I’ve also qualified for the GB age group team at both the 2019 European and World sprint triathlon championships - so onwards and hopefully upwards! I’ve loved being part of the Mersey Tri team at multi-terrain, cross-country, and my first cycling time trials. Thank you for all the support and training sessions along the way!! Thank you for nominating me. 2018 is the year I turned 50 and I wanted to mark it in a memorable way whilst fundraising for several charities close to my heart. I completed several events, and in terms of triathlons I raced Ironman Lanzarote and Frankfurt. In August I became the 33rd person to complete the Arch to Arc triathlon (Run88 miles from London to Dover, swim the Channel and Bike 185 miles to Paris), in the 7th fastest time. I rounded off my year by racing the Ironman world championships in Kona, a long held dream. It is gratifying to be nominated for this new award. As a level 2 Triathlon coach I get great satisfaction in coaching Mersey Tri members whether it be pool, track or open water. In addition to regular club sessions, along with Tony Fowler, I coach juniors at Crosby Lakeside in preparation for our annual Aquathlon and on the strength of my club work in coaching Open Water swimming I am employed as a coach by Active Sefton and Swimtrek to pass on skills and enthusiasm for our great sport. My best season to date took me completely by surprise. I took 10 minutes of my half marathon and 8 minutes of my 10k PBs. I went 5 minutes faster at the West Lancs triathlon and took 4 minutes off my best time at the Southport Sprint triathlon, in which I also qualified for the GB age group team and will travel to Russia next year for the European championships. In time trialling I took 25 minutes off my 100-mile time alongside PB’s in 10, 25 and 50-mile TTs. I also completed a 12-hour time trial (241 miles), and my first middle distance tri at Deva, all on the way to a brilliant day out in Bolton, where I was proud to finish on the red carpet at IMUK. It’s been a great year, thanks for all the support along the way. A first for 2018, we were delighted to award Martin with this well deserved recognition of his achievements in triathlon, particularly over the last year. 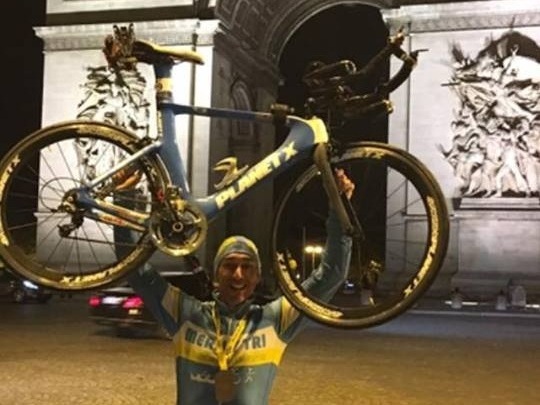 He’s achieved great feats of endurance, raised money for worthwhile charities, and is an inspiration for many fellow athletes in the club. Congratulations Martin!